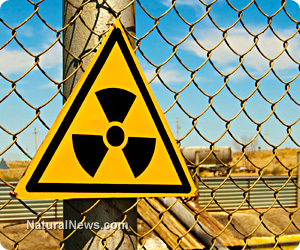 (NaturalNews) Federal regulators are scrambling to minimize the public relations impact of a recent radiation leak that occurred at an underground nuclear waste facility in southeastern New Mexico, where 13 workers reportedly tested positive for radiation exposure. According to reports, the discovery came after the plant's operators had repeatedly denied that anybody was exposed to the radiation, calling into question the integrity of these and other claims. The Associated Press recently covered the leak, which is said to have occurred at the Waste Isolation Pilot Project (WIPP) in Loving, New Mexico, located some 26 miles southeast of Carlsbad, on February 14. When radiation detectors at the facility went off late that day, no employees were underground, claimed the U.S. Department of Energy (DOE), and everyone who was present above ground was also tested for contamination. But just days later, it was revealed that some employees had, in fact, been exposed to nuclear radiation, despite earlier claims that the facility's HEPA filtration system had "worked flawlessly" at eliminating about 99.7 percent of leaked radiation from the air. And now, some watchdog groups are skeptical about the true severity of the leak, which nuclear regulatory bodies appear to have tried to sweep under the rug. The WIPP systems right now "are in the guinea pig stage," says Don Hancock, director of the Nuclear Waste Safety program at the Southwest Research and Information Center, who questions the official story. "We know in theory what they were designed to do, but we don't know how well they worked because they have never been tried." Did WIPP site managers really check their employees for radiation? Also anomalous is how the site's operators managed to overlook radioactive contamination in 13 of their 139 employees. Reuters reports that initial tests on these employees allegedly came up negative for radiation, while a later analysis of biological samples collected from the workers revealed a heavy presence of nuclear radiation. What this suggests is that either the initial tests were flawed or conducted incorrectly, or WIPP site managers failed to actually conduct the tests in the first place and are now trying to whitewash the situation. Whether or not all this points to an attempted coverup will be for investigators and the curious public to decide, but the fact of the matter is that there is more than likely a whole lot more to the story than we are all being told. As far as what caused the leak, it has been speculated that a large chunk of salt may have fallen from the ceiling of the repository where the leak occurred, puncturing one of the metal storage drums. RT.com also reports that there had been an underground truck fire about a week prior to the detected leak -- six WIPP workers had to be treated for major smoke inhalation due to this fire. "Strange description: the workers have to stay, radiation was measured, the workers cannot go into the plant, there was a truck fire inside, but no, no connections between leak and fire," opines one RT.com commenter about the peculiarities of the events at the facility as they have been reported by the mainstream media. "This strange and contradictory description implies that radiation leaks were way more significant and the problem apparently bigger, but as usual, the US [government] won't inform people living nearby."